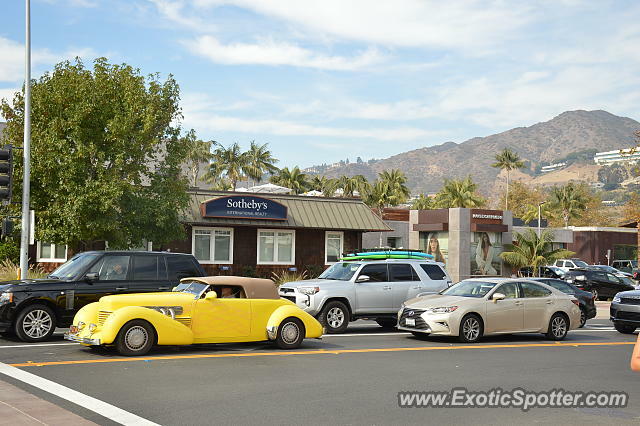 Cord 812 Phaeton spotted leaving the Country Mart. This car is hard to find and are worth quite a pretty penny these days. Very nice luck there, mate. Right in front of Sotheby's. nice.